They are refined delights created by the creative flair of Florentine pastry masters of Caterina De Medici. 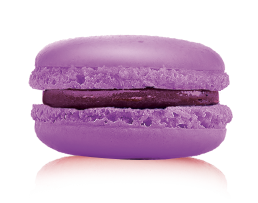 Macarons are appreciated in the court of France and after became famous in the Parisians salons. of delectable naturally flavored cream.